First published in 1980 as part of Harper & Row's Regions of America series, this lively account is now available only from the University of New Mexico Press. Focusing on New Mexico and Arizona, it also touches on neighboring states Texas, Colorado, Utah, Nevada, and California, as well as northern Mexico. 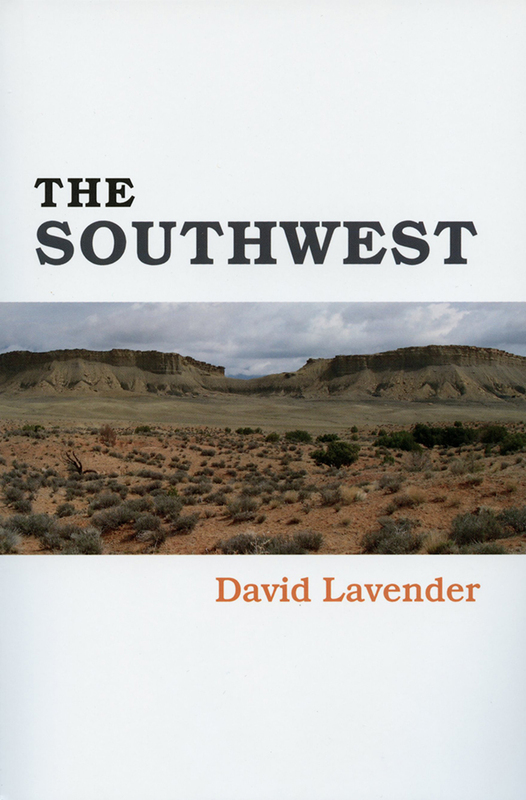 Lavender writes of the Southwest from the time of the earliest Indian inhabitants to the eras of the Spanish conquerors, the French fur trappers, and the eventual expansion of the United States into the area. He describes conflicts between Mexico and Spain, Mexico and Texas, and Mexico and the United States and explores the truth behind folklore and legends about cowboys, Indians, and outlaws. He also discusses the region's present-day problems--the difficulties of relationships among a variety of racial, cultural, and economic groups and the scarcity of usable land, water, and air. David Lavender (1910-2003) won the Wallace Stegner Award from the University of Colorado, 1996, and was honored by the California State Library Foundation for Historical Contributions in 1998.